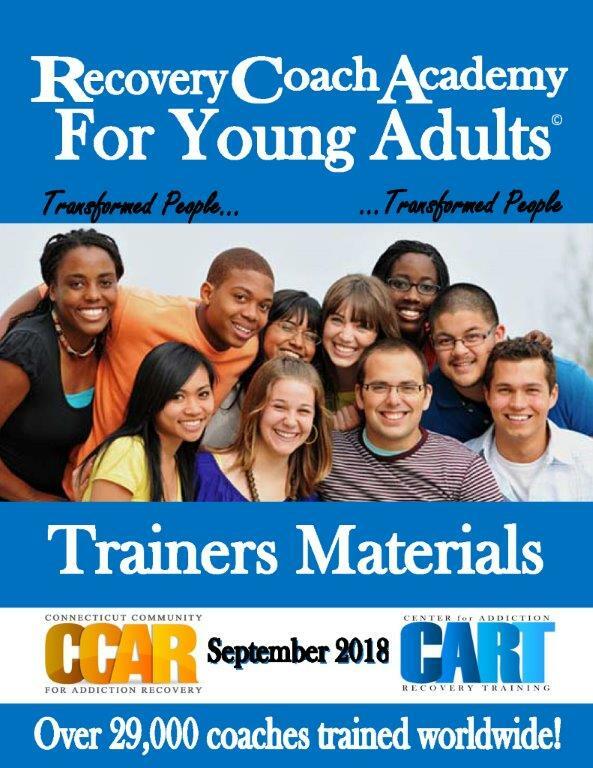 Authorized CORE Trainers of the CCAR Recovery Coach Academy for Young Adults curriculum are able to purchase multiple copies of the RCAYA Trainers manual here. Please download, complete and return the RCAYA TOT Order form to CART or fax to 860.244.2228. No manuals will will shipped unless this form is submitted to CART. Please note that all trainers of this curriculum must have already completed the 30 hour RCAYA (In-person and online components) to be authorized as a trainer. Please visit www.addictionrecoverytraining.org/rcaya to order materials for the 30 hour curriculum. If you are ordering a single copy for yourself and you are an authorized RCAYA trainer, you may do so here.